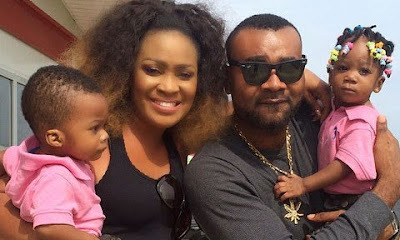 Prince Eke has finally replied his estranged wife, Muma Gee, after she granted HipTv an interview saying she gave 6 years of her life to her marriage (though they were only married for four years). She said; "I gave the marriage all my life, all my time, but if the persons involved are restless a bit, you can't be in control." "If infidelity ,adultery and certain fetish activities does NOT make you RESTLESS ..then prepare to REST IN PEACE."